Our services keep you assured of the entirety of your idea with stanch interpretations and inclusive plans. Make the most of our ability to present you the picture-perfect way with perceptively designed themes! Magento Provider offers excellent and innovative Magento Development solutions at affordable price. 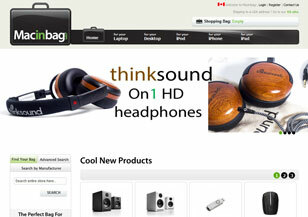 We have extensive experience in development and customize of online Ecommerce Magento based Websites. We deliver high-end quality, cost effective, on time solutions with higher return on your investment. Magento is a flexible and innovative e-commerce development platform offering lots of possibilities to developers at both front and back end development landscapes. Magento Theme Designing, for that matter, gets a lot of weight in Magento development owing to the role that it has to play in the online store dynamics. Theme designing at Magento Provider is characterized by identifying specific business needs followed by understanding and analyzing the industry factors. We take care of everything that plays an important part in defining your enterprise goal, representing your idea well and portraying your valuable business entity - with the theme that does justice to your thinking and help your convert your ideas into concrete results. While developing themes for your online store we take a keen look at your business profile and the audience type you are targeting. With our Magento theme designing services, we make sure that your website layout, structure and presentation is configured well with the underlying idea of your business. 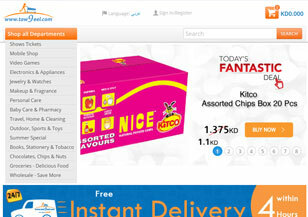 Taw9eel is Kuwait's Leading shopping website selling Groceries, Beauty Products, Electronics, special apparel, sporting goods, health-care items, books and more. Managed and marketed by Tawseel General Trading W.L.L. 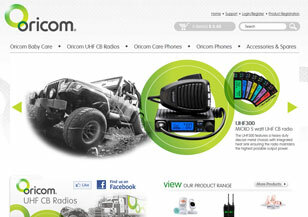 the website is focused on driving traffic using social media outlets such as Twitter and Facebook. The website is viewable via desktop browser or a web app using Smartphones. 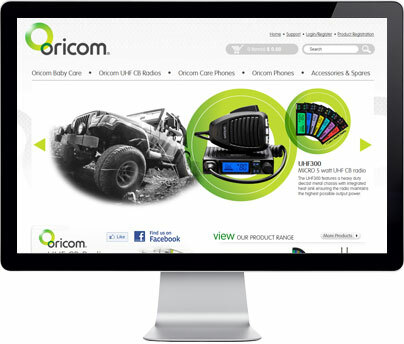 Through a diverse product offering divided into 4 distinct areas including Oricom Baby, Oricom Phone, Oricom 2Way and Oricom Easy (to assist those having difficulty with communicating), Oricom brings you expansive range of products on a highly engrossed ecommerce facility. The Australian website covers everything that depicts a fine edge to deal with modern buyer's mindset on the internet. 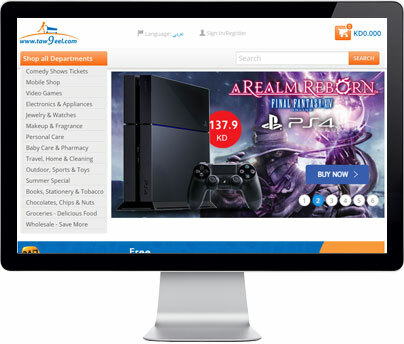 The features and functionalities included are technically robust and design unleashes much about the uniqueness of the Magento masterpiece. 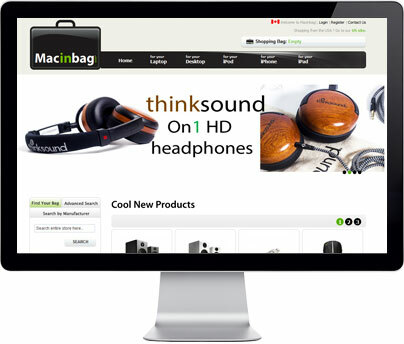 Macinbag is an easy consumer portal from where people can buy all Mac products from their gadgets to the accessories and gears at one place without any hassles. This Magento website is made to serve all the features that help the user to easily view, select and pick their products online. The categorical display and detailed information on product intelligently updates the related products and makes suggestions on matching items. It shows you the video and allows you to compare two different products before you move any further to add it favorites and share it with your friends and post an enquiry. 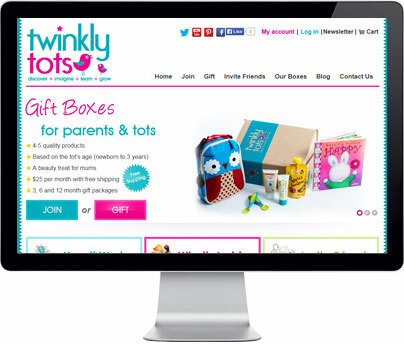 Twinkly Tots is a new-age online shopping idea dedicated to parents. This website takes you through fine range of products for your tots with all the handy merchandising and easy arrangements dedicated to parenting. Twinkly Tots has some unique concepts like 'monthly packages for parents' that include exciting, customized monthly kit for your kids, delivered to you free at your doorsteps. The display and the feel of the website are completely built with the parents need in mind. The website includes categories like Dining with Tots, Tot's bath time splash, Travelling Tots, ahoy Tots, Musical Maestro Tots and has everything to display in most expressive and interesting manner.